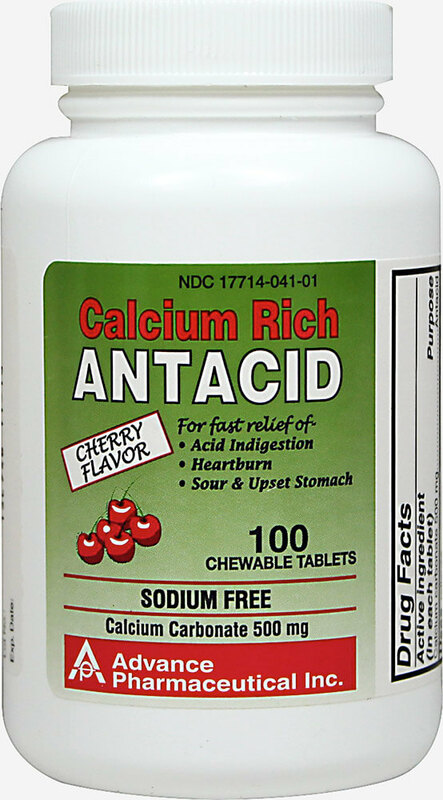 Obtain relief from occasional acid indigestion, heartburn and sour stomach! Chewable Antacid Calcium Carbonate may help make life more comfortable for thousands of fuzzy stomachs. Each tablet contains the active ingredient calcium carbonate to provide symptomatic relief and neutralize gastric acidity.